Given that most providers think of lawyers or law only in the context of malpractice suits, this cynical impulse is not surprising, even for a group of health care professionals who voluntarily entered the legal world to become better acquainted with its rules and norms. Yet in the era of a rapidly aging population, daily unspooling of health reform, and growing appreciation of the link between social determinants and health, there is an urgent need to bridge this professional divide. The skills of lawyers and the tools of law can in fact have an important role to play in promoting the health of older adults, not just on a policy scale, but on an individual level as well. Take for example the epidemic of financial elder abuse that is destabilizing the health and security of older adults. Providers observe the signs of such abuse early on, whether they are looking for it or not, and are in the best position to intervene to prevent further damage in the lives of their patients. However a “prescription” for a visit to the local Legal Aid for Seniors office is not part of the treatment plan for such a patient, despite the fact that such assistance could protect or recover the benefits and assets that contribute directly to health and well-being such as stable housing and access to food, appropriate caregiving, or medications. Lawyers have the tools to prevent, stop, or remedy financial abuse but often don’t encounter victims of abuse until a great deal of damage has already been done. Lawyers are thus most often forced to practice “ER” legal care with victims of elder abuse, who can least afford the time and stress, rather than preventive or “primary” legal care. This problem of emergency legal care versus preventive legal care is also evident in advance health care planning: the lack of planning by older adults too often places physicians in sticky legal and ethical situations which could have been prevented through earlier and more frequent conversations about patient wishes. Some commentators, myself included, have posited that advance planning tools (health or financial) can fail to meet the ultimate goals of the older adult. To me, this only underscores the need for increased partnership between lawyers and providers to ensure that our policies surrounding care of older adults (which are enshrined in law) translate well into the clinical context and effectively meet the needs of this population. 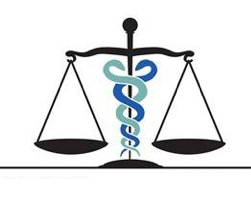 Medical-legal collaboration is not a new concept. Such partnerships have proliferated in connection with the AIDs epidemic, or between national cancer advocacy organizations. The National Center for Medical-Legal Partnership has for the past decade attempted to formalize the model and to promote its potential impacts, particularly in pediatrics. However, significantly less attention has been paid to formal models of medical-legal collaboration on behalf of older adults. While a handful of partnerships exist across the country, the number is shockingly small given the demographics. UC San Francisco and UC Hastings College of Law have partnered to address this gap and just this year launched the Medical-Legal Partnership for Seniors. 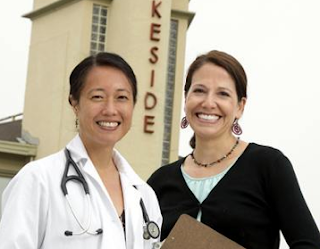 The program places law students and attorneys in a UCSF geriatrics primary care clinic in order to provide free legal services for older adults. The co-location of legal and medical services promotes interprofessional education and dialogue, which allows for early detection of patient needs and improved ability for all involved professionals to address those needs. By focusing on planning and preventive legal care, we hope to help older adults live out their golden years in health and security. This is an important moment for our professions and for the older adults we serve. While proliferation of formal, co-located medical-legal collaborations is certainly a goal, providers should not wait to start thinking about recommending legal assistance to patients as part of the care plan. Thank you for the terrific insights about the dynamics between health and legal professionals. Let's hope programs like UCSF/UC Hastings will help unleash a stampede of MLP's in the elder care world - where we know that legal issues, intertwined with health issues, are a certainty. By cross-training the next generation of helping professionals, patient/clients will get better care, more efficiently. This is an important blog post! The NYC Elder Abuse Center (NYCEAC) agrees with you that medical-legal collaboration is critical - and thank you for using the example of financial exploitation, which physicians do detect and victims do then often require a referral to legal services. NYCEAC teaches physicians about the legal needs of elder abuse victims and works closely with attorneys as well. Hopefully medical-legal partnerships will proliferate nationally. It will require an investment of government and philanthropic resources to make legal services readily available for those who cannot afford to hire an attorney privately. It will also require an investment in resources to train physicians about the psychosocial needs of older adults. Elder justice won't happen without an active network of concerned professionals and citizens speaking out. Thank you for doing so. Hi 'Sarah', thank you so much for this brilliant effort you showed us in this particular post. The medical aspects are so much important in elder care. There are so many people who face the medical problems at the time of their elder care.